Words by Kevin Doocey on January 19, 2011 . That sick feeling of Sunderland’s 93rd minute equaliser still lingers somewhat as I write this article, but it could have been worse; it could have been a 93rd winner for them, and our best striker could have handed in a transfer request the day after the game - Imagine that! However, we proved yet again yesterday that we are better than Sunderland on the pitch, and were so unlucky not to have done the double over Steve Bruce’s side. We were missing big Andy Carroll and Cheik Tioté for the game, so one might wonder what different they would have made if we had their presence. Transfer rumours still linger around Andy Carroll, and always will, but at this stage I’ve got used to them and indeed ignore them now. Forget who want our players, let’s have a look at what players we could bring in this January. Tyne Time has chosen two players who they think would make very good additions to the squad, and compliment the team Chris Hughton has built, and indeed a team Alan Pardew is trying to improve. I don’t believe we need any strikers really, with Ameobi, Best, Lovenkrands, Carroll, Ranger, and indeed young Phil Airey ready to fill the strikers void. What we do need, if as back-up LB. José Enrique has been nothing short of outstanding this season for Newcastle United, and arguably the second best LB in the Premier League at the moment behind Ashley Cole, although some might favour him to be in better form that the controversial Englishman. Enrique is a defender a lot of people wrote off in his first season after arriving from Villareal, including large quantities of Newcastle United fans. I always saw something in the lad, whether it was a genius piece of defending, or whatnot, but his mistakes in his first season marred those moments of quality, no doubt about that. Now however, he’s an older, more mature man at only 24, and is the type of defender every team in the world wants to have in their starting 11. 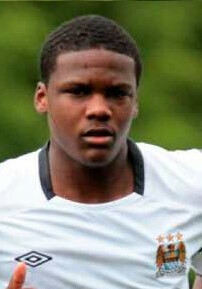 He is pacy, strong, smart on the ball, and overall an excellent player. I just hope we can keep our hands on him for years to come because players of José’s sort are extremely extremely hard to come by. With that said, naturally he will miss a few games, and cannot play them all - that is why we need back-up for him. Fair enough Shane Ferguson can fill his position, and has said he is trying to learn from José all the time, but he’s neither young enough not strong enough to fit right in just yet. That brings me onto my first choice transfer signing this January. Boyata - Although he is probably back-up to Manchester City more than anything, with Greg Cunningham out injured and Wayne Bridge out on loan, Dedryck Boyata is a player that I would really love to have at NUFC. Pacy, strong, young - exactly what you need at the top level, and perhaps add a bit of experience that comes with time. He will bea very commanding centre-back in the future, and to be fair, I don’t think Newcastle United have a huge amount of young CB’s coming through besides Stevie Folan. The real question is whether we could sign him this January and although it is more than likely Mancini wants to keep hold him, it is still worth a try making a loan bid for him. Mangala - One may wonder, what is this guy is on about bringing a guy I’ve never heard of before but Mangala, although relatively unknown at this stage will be a big star in the future. A defensive midfielder, that has strength, and a certain vision on the ball that makes him that little bit special. I have seen him play a couple of times, and I must say, I do think he would be an excellent addition to the Newcastle United team of the future. The likes of Kevin Nolan, Joey Barton aren’t getting any younger and we must look towards the future. 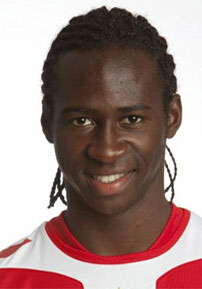 He currently plays in Belgium, with Standard Liège and their fans tout as him as one to watch. I certainly agree, and believe that we really should go for him in January, and tempt them with a bid. Did I forget to mention the fact that he can play CB, CM, and indeed LB? Would be a perfect addition. Probably far from the players you would have expected me to pick out like the usual Robbie Keane, Niko Kranjcar, Shaun Wright-Phillips but the future is the way to go. Firstly, I am extremely confident that we have a team at the moment, well comfortable of staying in the Premier League this season. Secondly, look at Arsenal, Wenger built the team he has now mainly from youth signings, and they have one of the best chances to win the Premier League they have had so far. There is talk of us looking to follow the Spurs model, but Arsenal in the way to go. Do we fancy dishing out £70,000 in wages to players at the club? I’d much rather have the kind of team we are building now, a team of players that actually care about the club, and in general, aren’t draining the wage bill all that bad. 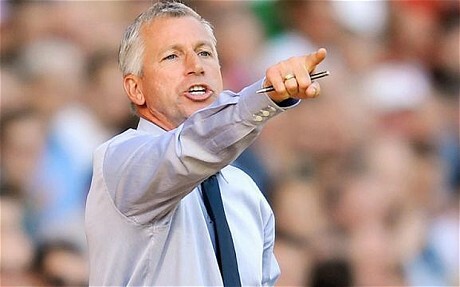 Anyway, enough said, we will just have to see what decisions Alan Pardew makes in this transfer window, or rather what decisions, he is allowed make this year. Royal Standard de Liège is a Belgian club and they play in the Belgian Pro League. Right you all are, my apologies. Not sure what map I was using, will have to get a new one!